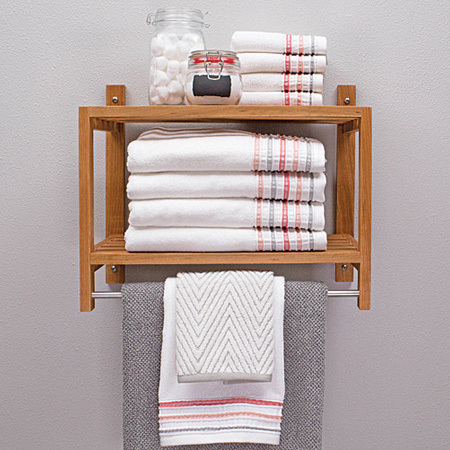 Every bathroom needs storage space and this wall-mounted bathroom shelf is the perfect addition with two shelves and a towel rail. 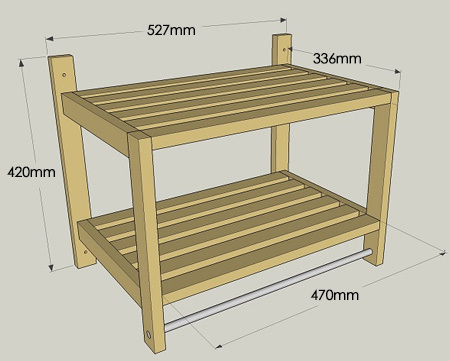 Designed by Build Something, this bathroom shelf is made using 19 x 44mm PAR pine or Meranti that you can buy at any Builders store. 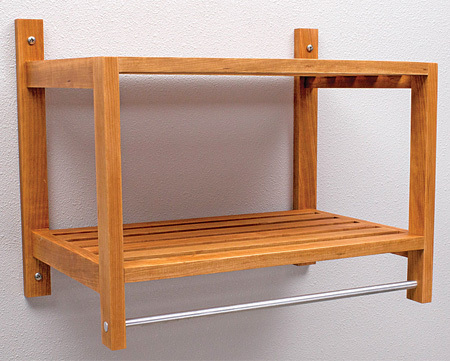 The shelf is compact in size but offers plenty of storage space with two shelves and a towel rail. The simple design of the bathroom shelf means you can easily finish this project in a couple of hours and hang the shelf on your bathroom wall for instant storage. Have all your wood cut to size in store so that all you have to do is assemble. 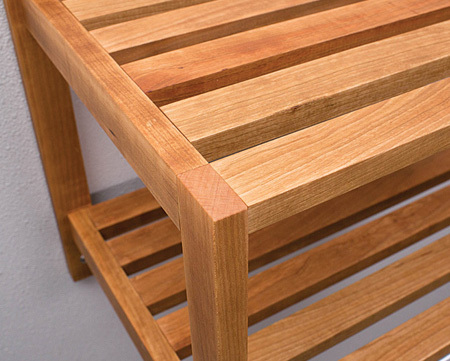 To finish off the bathroom shelf, you can use stain or tinted sealer/varnish to offer protection, or use Rust-Oleum's water-based polyurethane varnish for a beautiful natural matt finish. 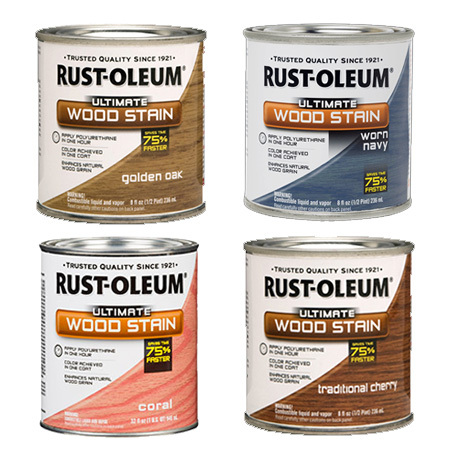 Rust-Oleum Ultimate Wood Stain is available in Golden Oak, Summer Oak, Traditional Cherry, Golden Mahogany, Worn Navy, Coral, Barn Red, Antique White, Rustic Sage, Vintage Aqua and Carbon Grey. Find the full range at Builders Warehouse. Buy everything you need for this project at Builders Warehouse. 1. In the Front Legs drill a 12mm diameter hole for the aluminium rod for the towel rail - shown above. 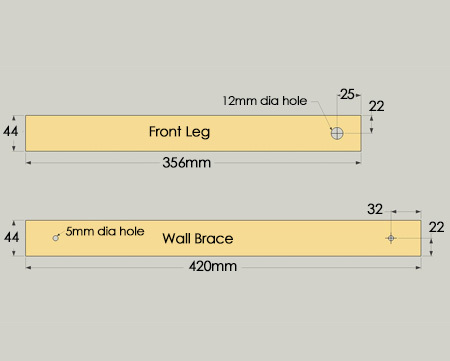 In the Wall Braces drill  5mm diameter holes as shown above for mounting the finished shelf on the wall. 2. 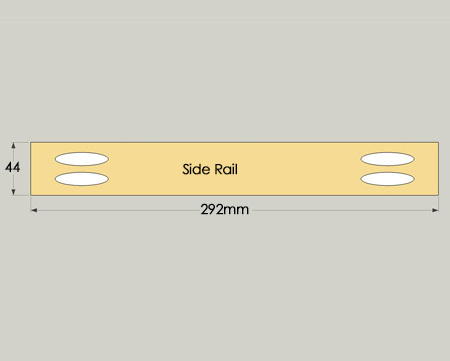 Set your pocket hole jig for 19mm-thick material to drill  pocket holes at both ends of the Side Rails, as shown below. 3. 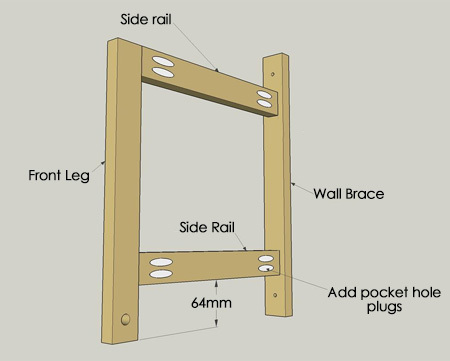 Assemble the side sections as shown below using 32mm coarse-thread pocket hole screws. 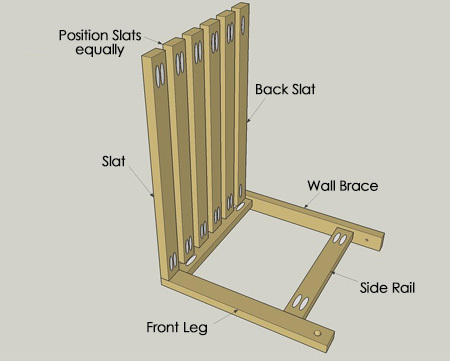 Ensure that the rails are on the inside of the frame and that the Font Leg and Wall Brace are in the direction as shown. 4. 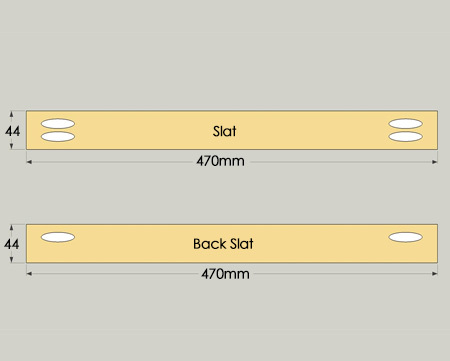 Drill  pocket holes at both ends of the Slats but only drill  pocket hole in the Back Slat. 5. 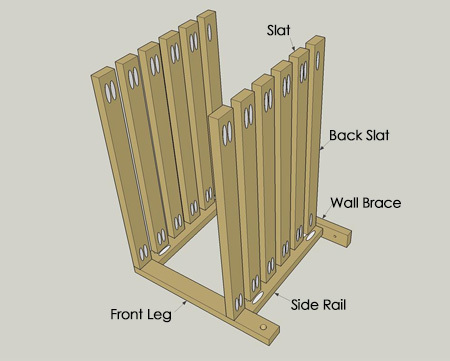 Attach the Back Slat and Slats to one side section, allowing equal spacing between the slats (approx. 14mm) and secure with 32mm screws. and then add the bottom shelf in the same way. Plug the holes with pocket hole plugs. 6. Finish off your bathroom shelf by attaching the remaining side section in the same way. 7. Use a jigsaw or hacksaw to cut the aluminium rod to fit. Close off the holes with Alcolin QuikWood epoxy putty. 8. 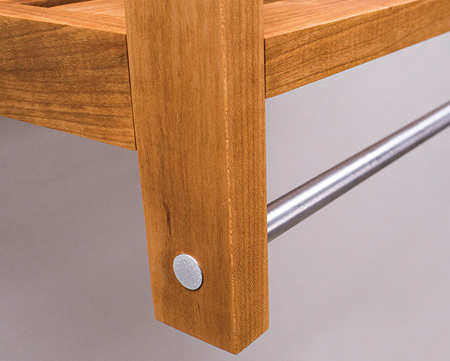 Apply your choice of finish and mount the shelf onto the nylon wall with wall plugs and screws.